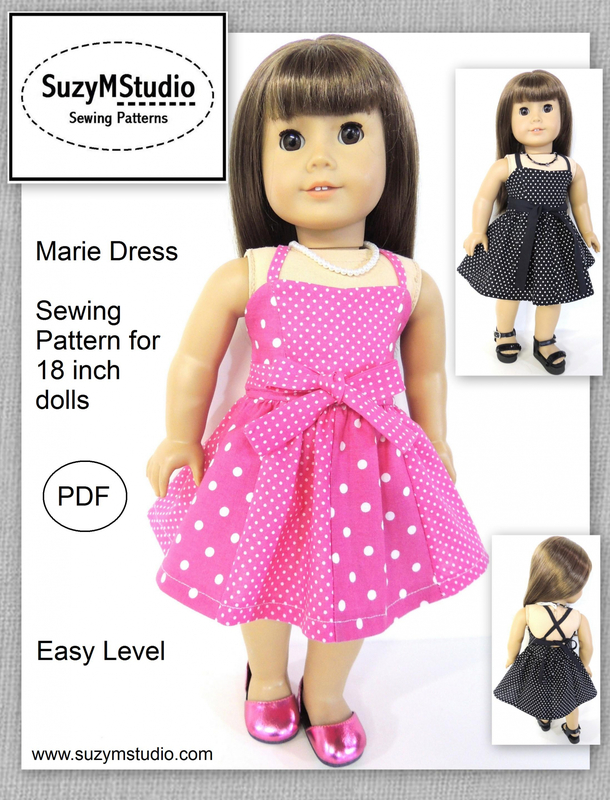 Marie Dress, sewing pattern for 18 inch dolls. 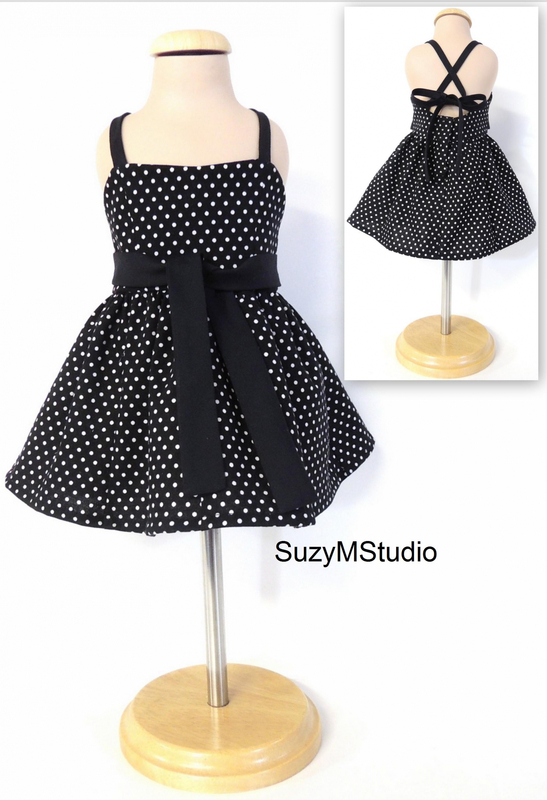 This is an easy pattern and it needs some hand sewing. 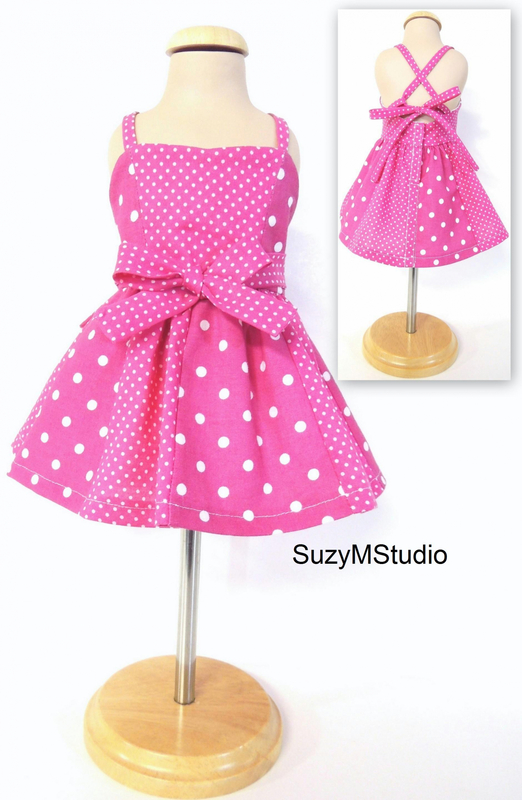 You will need half yard or two fat quarters of cotton fabric or quilt fabric and velcro.